Flight engineer TSgt. Bo Sullivan, 7th Expeditionary Air Combat and Control Squadron Joint Surveillance Target Attack Radar System crew member, prepares to take off on a mission over Iraq. The E-8C JSTARS is an airborne battle management, command and control, intelligence, and reconnaissance platform that is currently undergoing a recapitalization. The Hanscom AFB-based program received a Milestone A decision Dec. 10, 2015, and is currently in the Technology Maturation and Risk Reduction phase. For more than two decades, the Air Force’s Joint Surveillance Target Attack Radar System has provided valuable intelligence, surveillance and reconnaissance to commanders by detecting, locating and tracking enemy ground forces from afar. 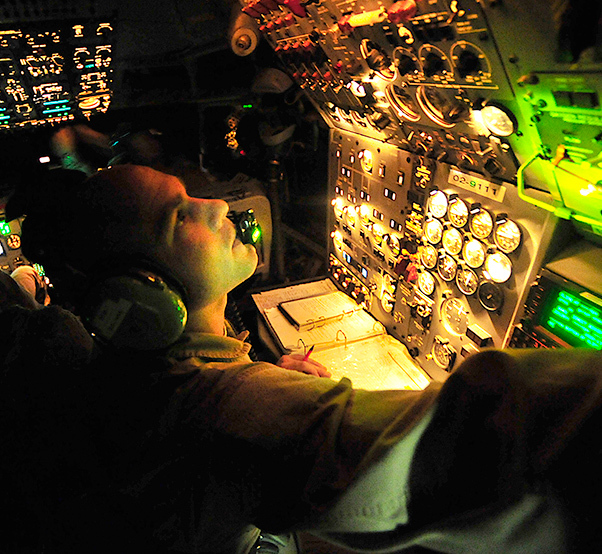 Identified as the service’s fourth largest acquisition priority, the JSTARS weapon system is currently undergoing a major recapitalization — including its radar. 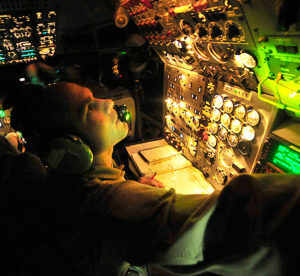 “JSTARS has the unique ability to provide a wide-area surveillance capability from long standoff ranges that would otherwise require the use of many smaller assets to perform the same mission — and the radar plays an integral part in that role,” said Brian Carr, JSTARS Recapitalization Radar deputy IPT lead. The existing system is armed with a multitude of sensors, antennas and a large 27-foot radome; however, it’s the radar’s Ground Moving Target Indicator, or GMTI, and Synthetic Aperture Radar, or SAR, which enables the system’s ISR mission. GMTI is used to locate and track moving ground targets, and SAR is used to image stationary targets of interest. In addition, JSTARS is equipped with a PESA — short for passive electronically scanned array — antenna that can tilt to either side of the aircraft, resulting in a wide field of view that spans across thousands of square miles. AESAs are currently the primary type of phased array radar used by the Air Force. The use of a modern AESA radar will allow the JSTARS Recap to meet mission performance standards while operating on a much smaller business-class jet airframe. AESA radars differ from the PESAs of yesteryear in several ways. By eliminating the PESA’s complex power distribution network, AESAs reduce signal loss and increase radar sensitivity. Both characteristics enhance detection capability and reduce the effects of a smaller aperture. Also, AESA radars allow for digital beam forming, which enables a number of advanced signal processing techniques. In addition to incorporating an AESA-type radar into the JSTARS platform, the program office is also focusing on an open systems architecture approach with many of its components. By embracing open systems architecture, the Air Force hopes to ensure a competitive sustainment environment for future hardware and software upgrades. Risk reduction efforts for the airframe, battle management command and control suite, communication systems and radar continue to gain momentum as the program officially reached a Milestone A decision Dec. 10, 2015. 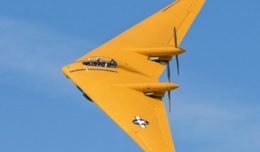 Milestone A will allow program officials to exercise approximately $45 million in options on three separate pre-engineering, manufacturing and development contracts; the contract options cover system functional reviews, preliminary design reviews and subsystem prototype demonstrations over the next six months.